For those who love everything with an engine, you already know about Cars and Coffee. However, SoCal being the mecca of twisty roads, year-round moderate temperatures, and very few days of rain lends itself to a very specific type of gear head: the motorcyclist. As a motorcyclist, a great day consists of riding some windy roads in cool temperatures (gearing up in the leathers can get toasty) with a few stops along the way to chill with your fellow riding buddies. The mandatory stop in Malibu: The Rock Store. 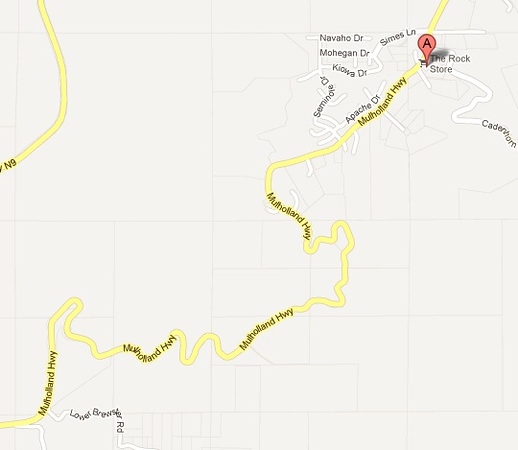 The Rock Store is located off of Mulholland Hwy north of Malibu. The couple mile stretch to the west is known as the Snake. This section of road has been used a few times for TV shows hosted by Tanner Foust. Tanner also drifted this whole stretch of road in his old Scion drift car. The Rock Store is located on storied Mulholland Highway in the Santa Monica mountains next to the stretch of road known as The Snake (more on that in a bit). 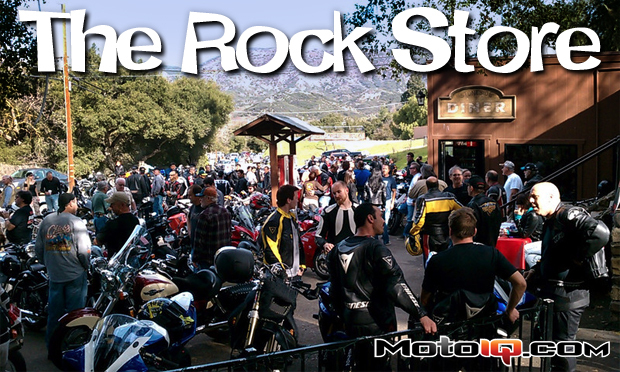 Every weekend, the Rock Store is packed with motorcyclists and their bikes of every type and era you can imagine. If you want to see a variety of bikes, this is the place to be. If you get there early enough, grab a seat either indoors or on the outdoor patio (recommended for bike viewing) for breakfast grub. Once noon rolls around, the menu changes over to burgers. Nice days make for nice rides and a packed house at The Rock Store. Bikes are parked far down the street. Peak hours are from 11am to 2pm or so for motorcycle viewing. 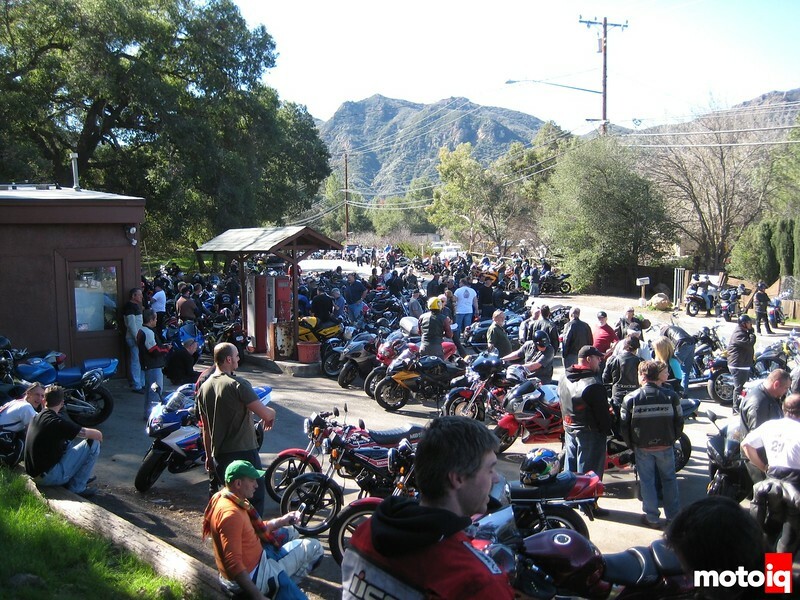 The occasional car cruise will drive by on their way through the Snake, but the traffic is about 90%-95% motorcycles. Of those motorcycles, the majority are sport bikes, but there’s still a huge variety along with very rare examples and customs that come out on the weekends. 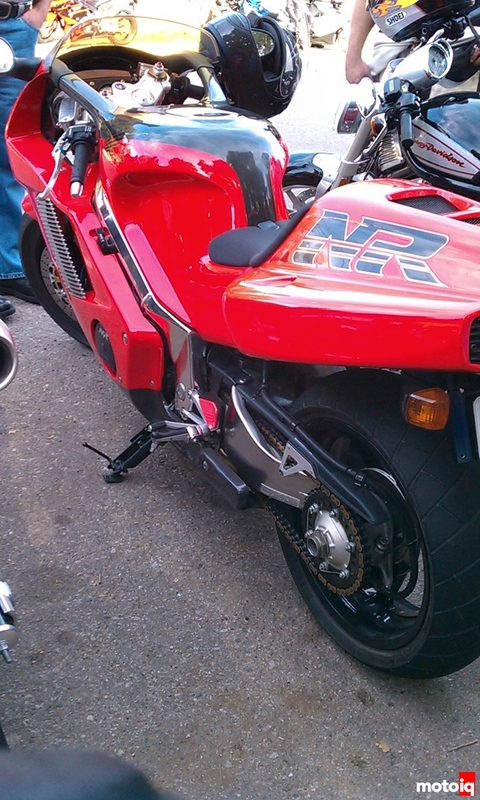 Yes, that’s one of 300 Honda NRs ever made with a 750cc engine using oval pistons. The oval piston shape allowed the use of 8 valves per cylinder.